Less Downtime. More Production Time. Quickly find areas in your plant that are slowing your operation. Are you changing classifications on a machine too often? Is the same equipment consistently going down for maintenance? Are your employees performing poorly or is it your equipment? 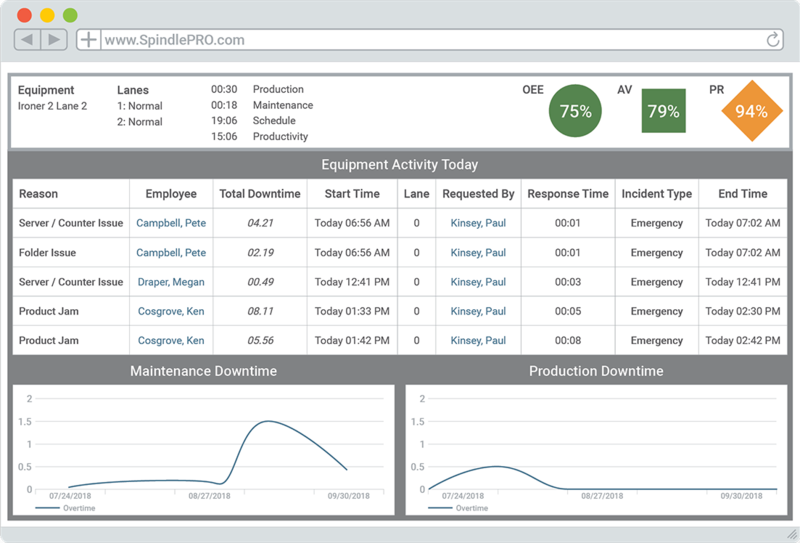 SpindlePRO automates the collection of data that already exists in your plant and presents the information to you in easy to interpret dashboards. This higher visibility into your plant makes operating at peak performance the new norm. Track your production requirements as your labor and equipment complete their planned work for the day. Utilizing our Requirements Planner, you're able to quickly identify production shortages, overages, or delays and accurately reallocate resources where needed. Monitor your plant down to the individual machine and uncover trends regarding the underlying reason for high frequency breakdowns in your equipment. 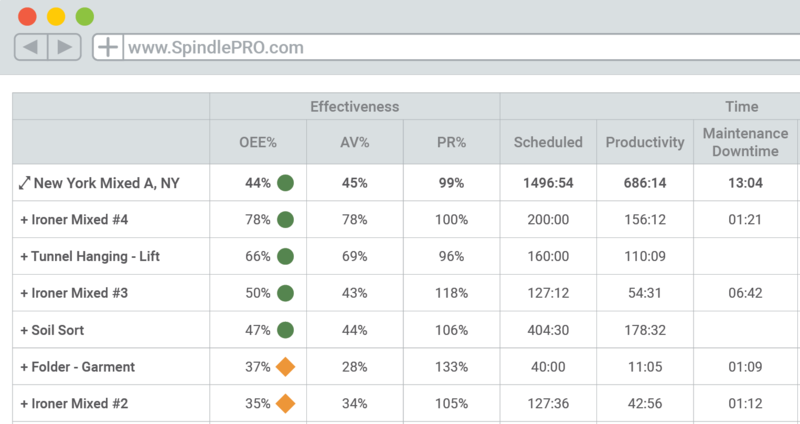 SpindlePRO helps you create the optimal preventative maintenance schedule and eliminate these repetitive breakdowns -- ensuring more equipment uptime. 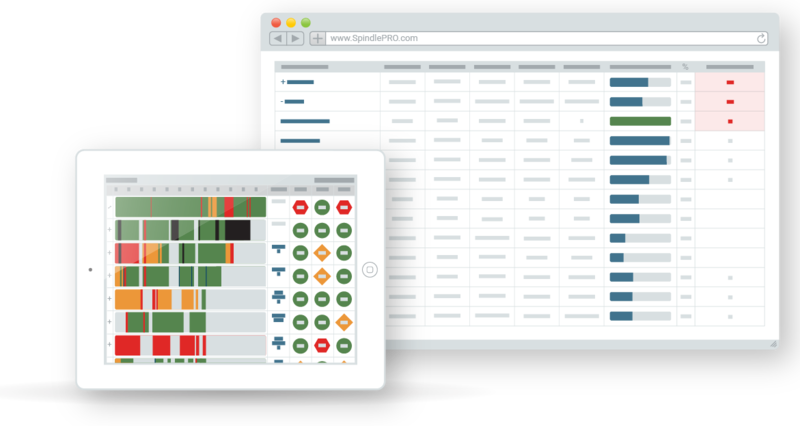 With an improved visibility into capacity constraints, SpindlePRO simplifies difficult questions like, "Do I need to buy new equipment to meet the additional demands of a new account?" By displaying true representations of how equipment is being utilized, you can make more informed, data-backed decisions regarding your plant. 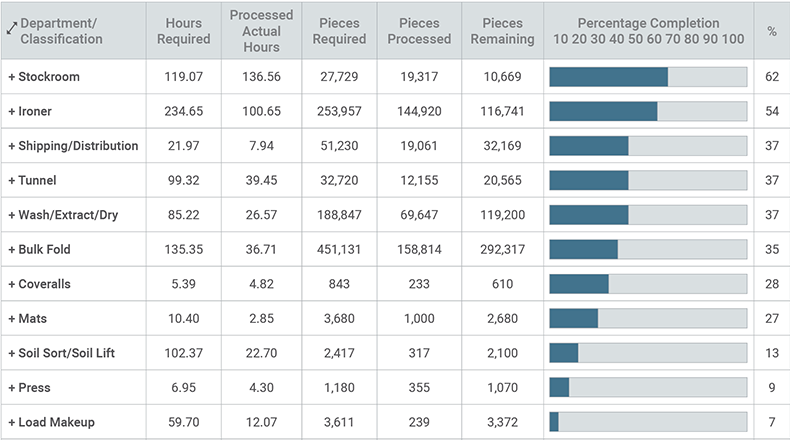 Quickly visualize your plants Overall Equipment Effectiveness (OEE) to see where capacity is lost. 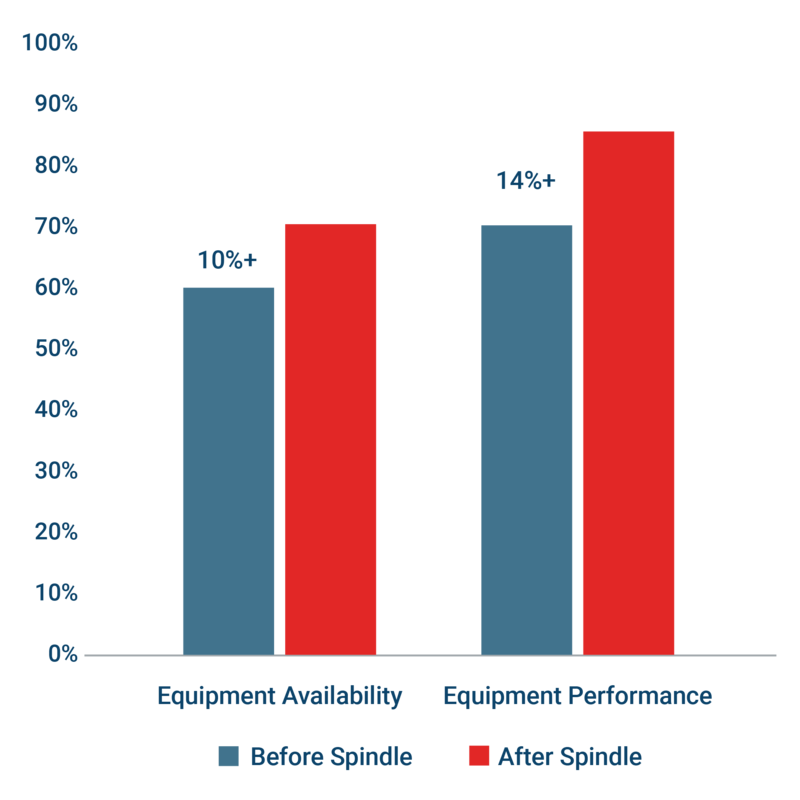 SpindlePRO summarizes capacity losses with the capability to drill down to the equipment and lane level. By streamlining your workflow and improving the efficiency around your plant, you're able to have a more predictable throughput and do more with less. Includes All the Amazing Features of SpindleLIVE and More. Log preventative maintenance activities, determine effectiveness of repairs and top equipment failures to plan for future projects. View historical data regarding equipment breakdowns to identify areas employees may need to be coached to prevent product jams. We're constantly improving our product. With our in house development team, we release an update remotely every two weeks. After we on-board your staff, our industry experts will continue to coach your team on best practices and provide actionable insights into areas of your plant that are under performing. Real-time tracking analysis offers context and reporting for when production is low, such as when maintenance took place, or employees were unavailable. With automated alerts, your team instantly knows when something goes wrong. You can quickly move resources around to continue production while maintenance resolves the issue. "Spindle is easy to use and it's super friendly. It's a teachable product." Schedule a demo to start unlocking the full potential of your operation.